As a voice for conscious fashion, Raye Padit is motivated by the belief that one person’s actions, no matter how small, holds great impact. 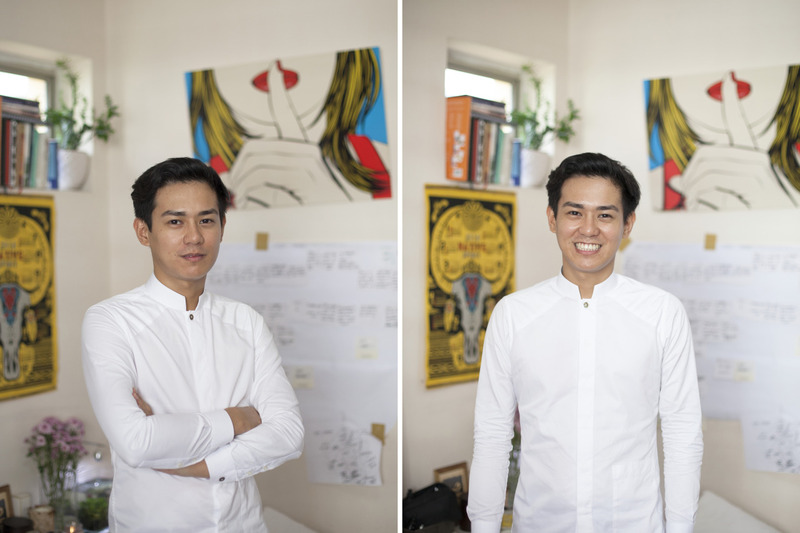 This core ideal has driven him to start his three passion projects: Connected Threads Asia, PeyaR, and Swapaholic. Raye co-heads Connected Threads Asia – a platform connecting fashion designers, manufacturers, suppliers, and consumers, to create a lasting conversation around the culture of sustainable fashion. 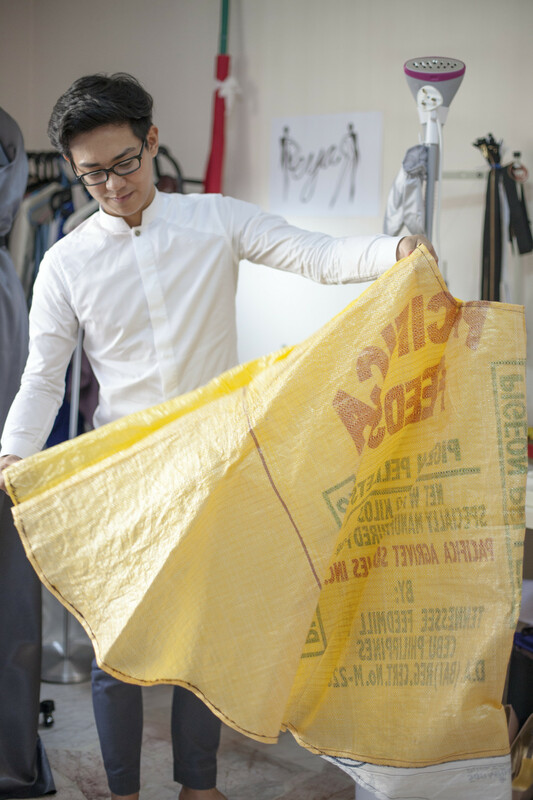 He is also the face behind PeyaR, a design label with a focus on bespoke apparel made through upcycled pre-consumer textiles. 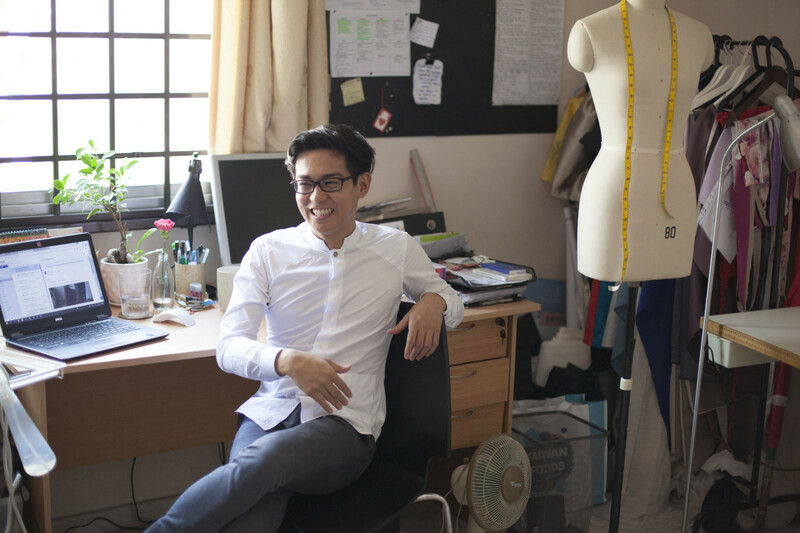 He began Swapaholic, his most recent venture, for people to exchange their clothes and build their closet without adding to the waste of the fashion industry. Raye cycles through a closet of 47 items, believes only in the bare necessities, and keeps a giant jar of coins because he hates carrying around change in his pockets. This minimalistic approach guides his everyday. 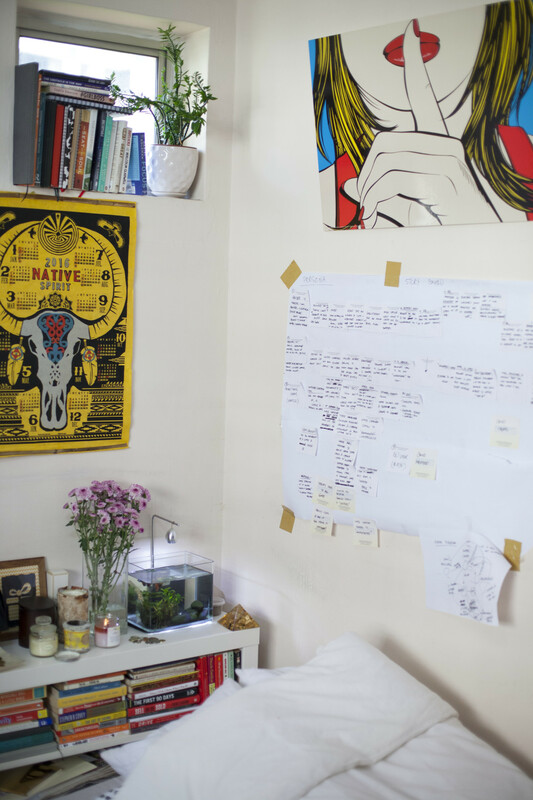 His room is vibrantly cluttered, with posters from past concerts he’s been to, sketches of clothing he wants to design one day, and notes from friends. 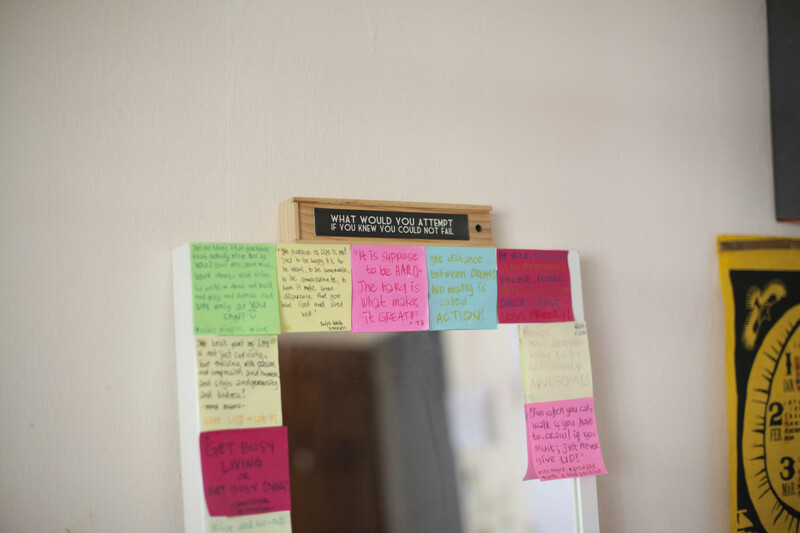 Everything tacked onto his pristine walls has a story behind it. Though it isn’t minimal, it has the same sentiment – everything he keeps matters to him, and it holds an irreplaceable significance. How did Connected Threads come about? When I started the Fashion Revolution events in Singapore, I soon realized that it lacked continuity. I wanted to create a platform for people to learn more about ethical fashion, that way even after the event ended people would still have a way to support the cause. This ambition led to Connected Threads – we wanted to explore the side of fashion beyond the surface of glamour and expression. To encourage consumer responsibility, we would host events and documentary screenings as a way of building a community beyond the aesthetics of clothing. WHEN I STARTED THE FASHION REVOLUTION EVENTS IN SINGAPORE, I SOON REALIZED THAT IT LACKED CONTINUITY. What were you doing before you started Connected Threads? I worked in marketing, and I was happy with my job – but I always knew I wanted more. Growing up, my mum loved fashion and she would attend special events on occasion. Whenever this was the case, she would go through the lengthy process of finding inspiration from magazines, picking out fabrics, going to the seamstress to have it made – and I would be by her side through it all watching the magic unfold as an idea went from fabric to dress. At a young age, I already knew that I wanted to work with fashion, and so I began doing internships with local designers and eventually moved into the ethical fashion industry. Tell us more about how you started your new online clothes-swap platform Swapaholic, and how that has evolved now. Swapaholic was actually a result of Connected Threads. As Connected Threads grew I felt that an exchange of ideas was simply not enough, and I wanted to do something tangible to contribute to the movement. I began exchanging clothes with my close friends as a way to get new clothes. But I soon came to realize that on a larger scale, I was able to build my wardrobe without adding more waste to the fashion industry. When we began, the biggest challenge was the stigma behind swapping clothes. Some people saw it as an exchange of hand me downs, even though every piece brought in is as good as new. Now, there’s a change in mindset towards clothes-swapping, and there’s a growing interest as people realize they can open up their options. What I’ve been doing now is small-scale events, but the bigger picture is to create an online platform by next year to make it more accessible. I TRY TO THINK BEYOND CONSUMING AND INSTEAD FOCUS ON HOW CAN I MAKE AN IMPACT WITHOUT ADDING TO THE WASTE. How has your style evolved since you came into ethical fashion? I think it is more accurate to say that my behaviour towards clothes has changed. I used to want only what looks good on me, but now that I’ve become more conscious of my environmental impact, I try to think beyond consuming and instead focus on how can I make an impact without adding to the waste. As a designer, I have the liberty to conceptualise my own designs. With the creativity and resourcefulness of this job, I am limitless with the limited resources. Nowadays, I try to minimise the amount of clothes I have in my wardrobe. Because really, how often will I wear all these clothes when I always go back to the few pieces that I am most comfortable in? What is your ideal closet? Currently, I have a capsule closet. I was inspired by a movement in the States where people would rotate between 33 pieces of clothing every 3 months. In that timeframe, what you have is your staple and you don’t add to it. I decided to take that same idea but tailor it for my lifestyle. Instead of changing my closet every 3 months – I’ve changed it up so that I own only 50 pieces. Currently, I have 47 pieces, including my underwear and socks, and I feel like I already have my ideal closet. I’ve curated set looks and uniforms for certain occasions, and it helps me focus on things that are more meaningful to me. The only thing I’m missing is a two-piece upcycled suit. But the nature of upcycled fabric makes it difficult to reconcile the pattern with a clean-cut shirt, and so I have yet to find a tailor willing to take on this project. MY HIGH SCHOOL CHEMISTRY TEACHER ONCE TOLD ME THAT A PERSON SHOULD ALWAYS HAVE TWO THINGS ON THEM AT ALL TIMES: A ROSARY AND A HANDKERCHIEF. Is there a favourite piece in your closet that you always turn to? I don’t have a favourite, but out of all the pieces I own it’s my uniform shirt that gets the most wear. I designed it myself, and it’s a staple in my closet. I prefer custom-made clothes, and a large portion of the garments I own reflect that. I also mirror this in all my designs – I refuse to make anything that has already been created, even if it was a past design of mine I still like to add extra details to make it unique. I can’t say this is another favourite, perhaps more of an essential – something I always carry on me is a hanky. My high school chemistry teacher once told me that a person should always have two things on them at all times: a rosary and a handkerchief. It sort of became my rule to live by. As a kid, my mom would never buy me handkerchiefs no matter how much I asked her to, and so I ended up taking them from my dad’s collection. Now of course I get my own, I used to have a collection of 12 handkerchiefs but it’s dwindled down to 3 – it’s so easy to lose them! What is the statement you wish to make with your clothes? I always tell my clients “you should wear you.” Do not be blinded by mainstream messages. What works for others might not work for you and that’s okay, when you choose what works for you, it will empower you and make you feel confident. When I design for my clients, I prefer to meet with them first to learn more about who they are, what they wear, and why they wear what they wear. There is no point to creating pieces that they will only wear once. I want to create pieces that fit their lifestyle, and I want it to be timeless. Out of all your designs, which are your favourite works? It’s a tie between two dresses. There’s a silver dress I made out of boredom, which I love because there’s so much complexity that went into designing it in detail, and yet it drapes so effortlessly. The other dress is a wedding gown I made for a client, her fiancé had recently passed on but she wanted a dress anyways to keep as a memory of him and what they shared. Final question. If your house is on fire, what are five things you would save, even if it means running back into a burning house? My passport, my laptop, all my clothes (it’s all or nothing,) my sewing machine, and books. We began with the intention to inspire consciousness in our everyday, to cultivate a culture that encourages others to uncover where and why something is made. The Connected Clothing series spotlights on different individuals in the fashion industry – why they wear what they wear and the significance behind their choices.